Albert Carnesale, former Chancellor of UCLA and Provost of Harvard University, is a specialist in arms control and national security. A nuclear engineer by training, in 1969 Carnesale became chief of the Defensive Weapons Systems Division of the U.S. Arms Control and Disarmament Agency in Washington, D.C. While serving in that role, he was also a member of the U.S. delegation to the Strategic Arms Limitation Talks (SALT I) with the Soviet Union. 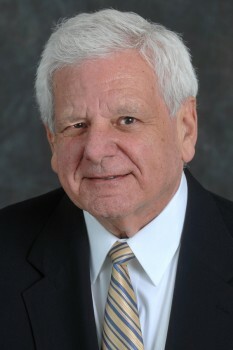 The former Lucius N. Littauer Professor of Public Policy and Administration at Harvard University and Professor Emeritus of Public Policy and Mechanical and Aerospace Engineering at UCLA, Carnesale has authored or co-authored six books and more than 100 articles on a wide range of subjects. These books include New Nuclear Nations: Consequences for U.S. Policy; Fateful Visions: Avoiding Nuclear Catastrophe; and Hawks, Doves, and Owls: An Agenda for Avoiding Nuclear War. Chen Kane is Director of the Middle East Nonproliferation Program at the Middlebury Institute of International Studies. Her current work at the Institute’s James Martin Center for Nonproliferation Studies focuses on reducing the proliferation of weapons of mass destruction, particularly in the Middle East. These projects include strengthening the International Atomic Energy Agency’s safeguards system as nuclear energy expands in the region. Kane has extensive experience in the area of nuclear nonproliferation. She previously served as a fellow in the nonproliferation program at the Center for Strategic and International Studies and prior to that, worked as a director at the Israel Atomic Energy Commission. In addition to her work at the Middlebury Institute, she continues her affiliations as a non-resident research associate with the Managing the Atom project at Harvard’s John F. Kennedy School, as an advisor to the National Nuclear Security Administration, and as an adjunct professor with the National Defense University. David Menashri, Professor Emeritus Tel Aviv University (TAU), is Founding Director of the Alliance Center for Iranian Studies at TAU and Senior Researcher at the Dayan Center for Middle Eastern and African Studies at TAU. Prof. Menashri’s main areas of research include religion, society, and politics in modern Iran; Islamic Radicalism (with a focus on Shi’i Islam); the Persian Gulf; and the history of education in the Muslim world. He has authored and edited more than ten books, published numerous articles on Iran and the Middle East in addition to authoring all 22 annual chapters on Iran between 1978 and 1999 in the Moshe Dayan Center’s annual publication, The Middle East Contemporary Survey. Menashri’s books include: Post-Revolutionary Politics in Iran: Religion, Society and Power; Iran after Khomeini: Revolutionary Ideology versus National Interests; Revolution at A Crossroads: Iran's Domestic Challenges and Regional Ambitions; and Iran: A Decade of War and Revolution.